How many of you remember the Revive Your Marriage series that we did back in September? Well, Courtney from Women Living Well has issued another challenge. I just came across it, so don't worry, you're not the only one late to the game. 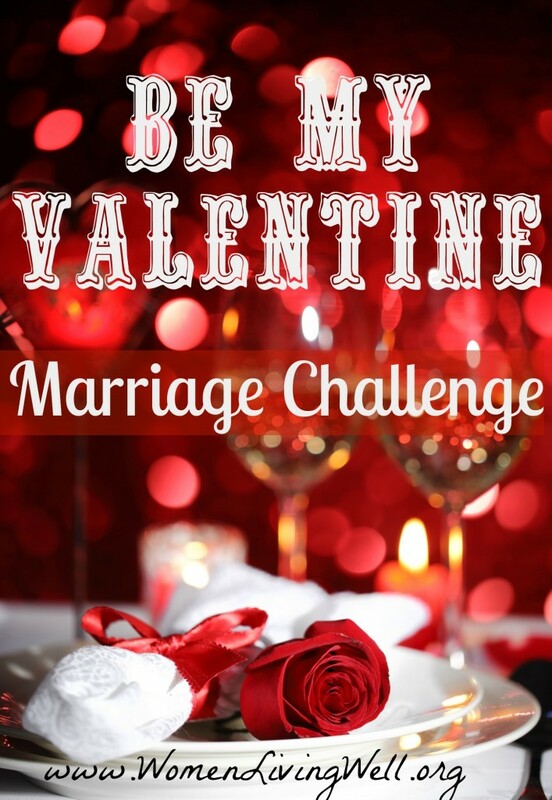 Come join me for the next 4 weeks leading up to Valentines Day as we love on our husbands a little more. Week 1- January 21 - Praise your hubby verbally. Week 2 - January 28 - Praise him through more creative means. Week 3 - February 4 - Pursue intimacy. Week 4 - February 11 - Find out what he craves.